New Ronan Farmers Market manager Cryse Heiner is recruiting new members for the growing weekly event. 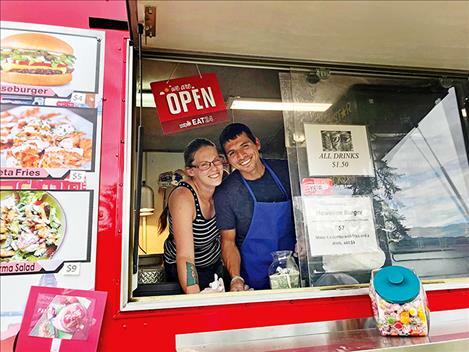 RONAN – The Ronan Farmers Market continues to grow with more than 25 vendors now registered and the addition of a food truck. Super Gyro, operated by Robin and Juan Lopez, offers everything from burgers and fries to gyros, hummus, and falafel. Another new vendor at the market is David Sturman of Shady Maple Farm who will start bringing his lamb brats to the market on July 5. 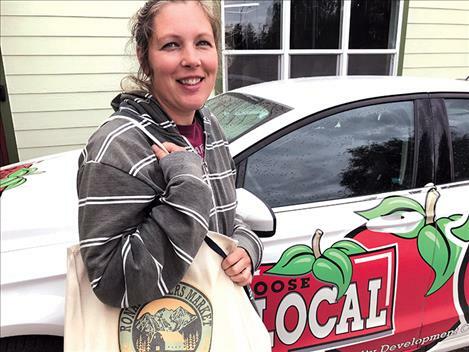 The Tote Bag Challenge has been a huge success, bringing new customers to the market to earn a bag to fill up with fresh produce or natural beauty products, like goat’s milk soap. The tote bags feature the new Ronan Farmers Market logo, designed by Image Quest. More than half of the canvas bags have been given to customers in the last two weeks. You can still earn a bag by picking up a punch card and purchasing $25 worth of produce or craft items at the market. Cryse Heiner, an experienced educator and community advocate, has been hired as the new market manager. Heiner grew up in Ronan and has served in the Ronan school system as garden coordinator at K. William Harvey Elementary and as a Food Corps member for two years. She recently operated a garden camp for kids. Heiner is married and has four children. Part of Heiner’s work as the market manager will be to continue recruiting new vendors to the market. Because of the fast growth of the market, new vendors must fill out a vendor application for approval at least one week before attending the market. 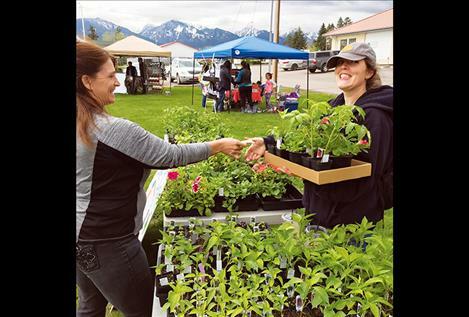 The Ronan Farmers Market is held from 4 to 6 p.m. on Thursdays on the lawn behind the Visitors Center on U.S. Highway 93. Participants can obtain an application at the Ronan Farmers Market information booth, by calling Heiner at 406-676-5901 or emailing her at cryse.heiner@lakecountycdc.org.